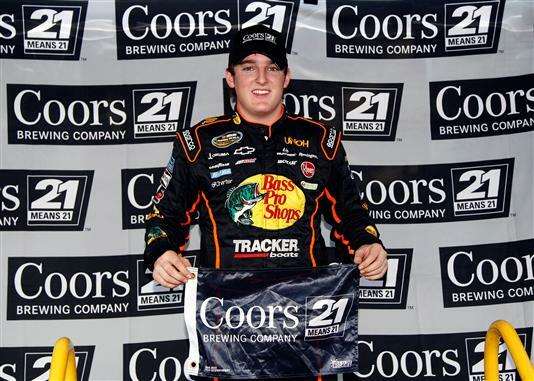 Rookie Ty Dillon continues to impress, winning his third pole of the season and looking to make a run for the championship. With just five races remaining, surviving Talladega is an essential key to the drivers fighting for the trophy. With a lap of 54.013 seconds (177.291 mph), Dillon will lead the field to the green flag alongside of Jason White. The top five is rounded out by championship contender James Buescher, Aric Almirola and Cale Gale. The 7th Annual fred's 250 Powered By Coca-Cola gets underway with the Setup show at 3:30 pm ET. Green flag is scheduled for approx 4 pm ET.